MATTOON — Bicyclists who are pedaling across Illinois as part of the second annual Gold Star 500 took a late morning rest stop on Thursday at the Illinois Army National Guard armory in Mattoon. 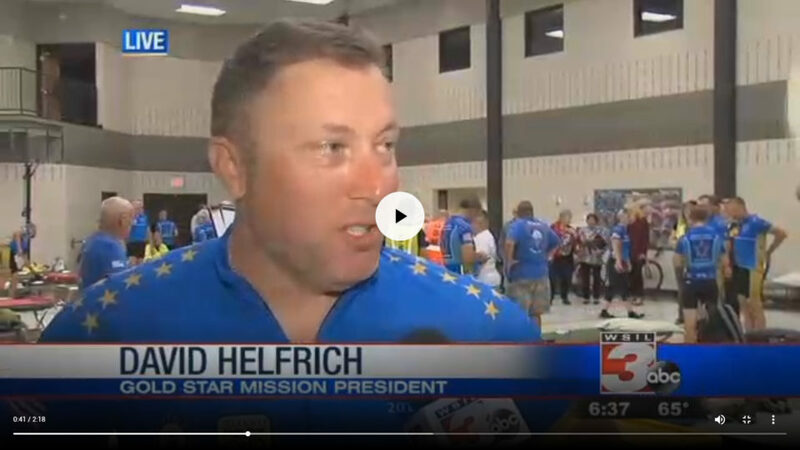 Gold Star Mission spokeswoman Trish Russell said the 35 bicyclists started their 500-mile journey on Wednesday by riding from Springfield to Paris. They stopped in Mattoon en route from Paris to Mt. Vernon. The bicyclists are scheduled next to go from Mt. Vernon to Scott Air Force Base on Friday, and conclude the journey by traveling from the base back to Springfield on Saturday, the eve of Gold Star Mother’s Day. 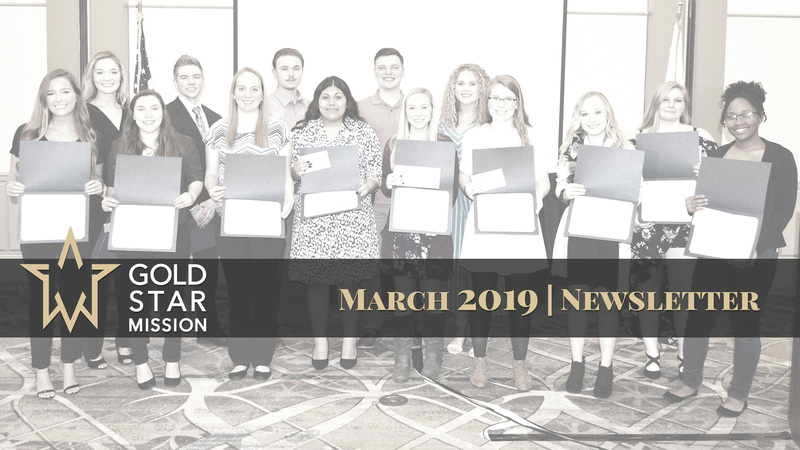 The Gold Star Mission nonprofit organization honors and supports Gold Star families by preserving the memory of their fallen military service members through service to others in need. 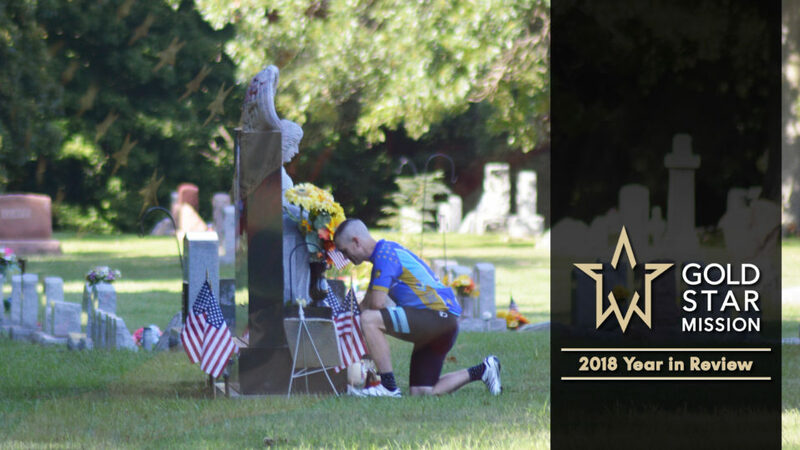 Russell said the bicycle ride raises money for the Gold Star Mission Scholarship Fund, which awards scholarships in honor of Illinois’ fallen service members to students who exemplify selfless service and honor the fallen. “It’s a way for us to get their names continued on to the next generation and to share the message about the sacrifice they made for our freedom,” Russell said of fallen service members. Russell said the first Gold Star 500 was dedicated to all National Guard members from Illinois who have fallen since Sept. 11, 2001, in Afghanistan and Iraq. She said this year’s ride expanded to memorialize all service members from Illinois who have died in these wars. As the Gold Star 500 makes stops at National Guard armories and other facilities, riders hear the names of local fallen soldiers read aloud and then hold a moment of silence. The names of National Guard Spc. Charles Lamb of Casey, killed in 2004 in Iraq; Army Spc. Charles Neeley of Mattoon, killed in Iraq in 2004; and National Guard Sgt. Scott Stream of Mattoon, killed in Afghanistan in 2009, were read during the Mattoon stop. Russell said the Gold Star 500 started in 2017 with just bicyclists drawn from the ranks of the National Guard, and participation in the ride has grown since then. “This year we do have civilians with us, which is really exciting. We are looking to bring in more people from the communities,” Russell said. The Gold Star 500 bicyclists are escorted on their journey by vehicles from area law enforcement agencies and by a caravan of volunteers. These volunteers, wearing neon green safety vests, were at the Mattoon armory as the bicyclists refueled on snacks and cold drinks in the gymnasium there. Volunteer Raynor Hutchinson of Algonquin said he has helped with the Gold Star 500 for two years now because his son-in-law, National Guard member Andrew Adamczyk, is one of the bicyclists. Hutchinson said he also has been motivated to volunteer because he is a veteran, having served with the Air Force in Vietnam. Hutchinson said the Gold Star 500 and the scholarships that it funds help provide assurance to the families of fallen service members that their loves ones will not be forgotten.